The 47th annual Northern California Cherry Blossom Festival, said to be the largest such celebration in the U.S. after the one in Washington, D.C., was held April 12-13 and 19-20 in San Francisco’s Japantown. 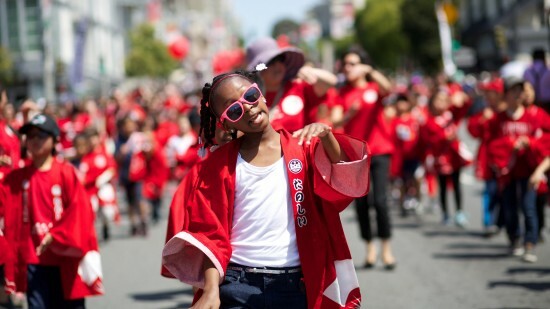 The final day included the Grand Parade, which started at City Hall and ended on Post and Fillmore streets. 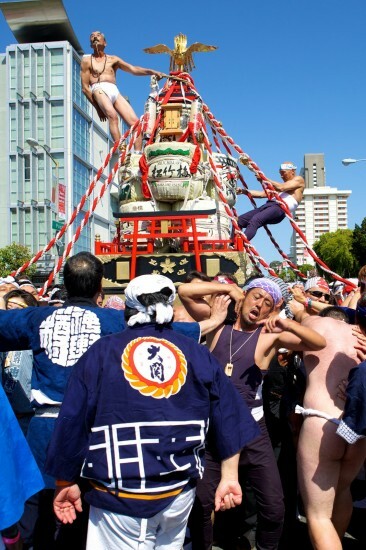 Above: The Taru Mikoshi, a Cherry Blossom Festival tradition, is a mikoshi or portable shrine made of sake barrels donated by Japanese brewers. It is carried by hundreds of enthusiastic and lightly clad volunteers. 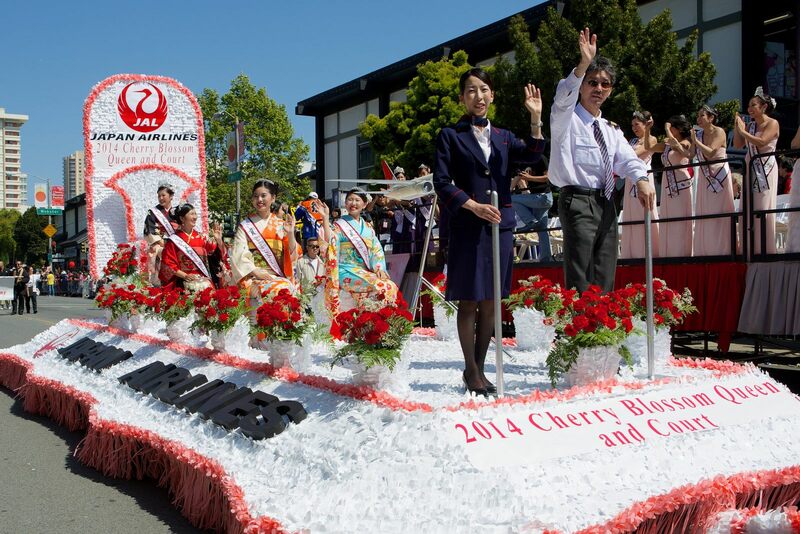 The 2014 Northern California Cherry Blossom Court rode on the Japan Airlines float. The 2014 Northern California Cherry Blossom Court at San Francisco City Hall. From left: Princess Alessandra Dameshghi, Princess Saaya Sakurai, Queen Kyle Tana, First Princess Alison Nishiyama, Princess Kristin Matsumoto. Michiya Hanayagi, who has taught Japanese classical dance (Nihon buyo) in the Bay Area since the 1950s and has participated in the festival since its inception. 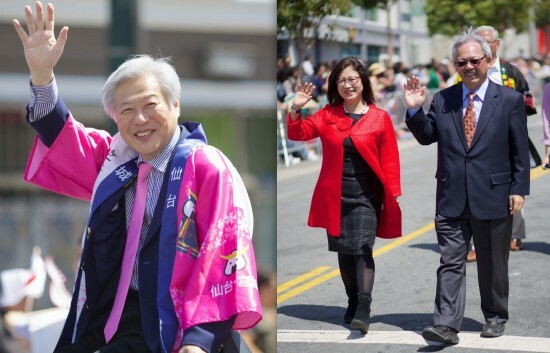 Participating dignitaries included the new consul general of Japan, Masato Watanabe (left), and local elected officials, including San Francisco Mayor Ed Lee (pictured with his wife, Anita). 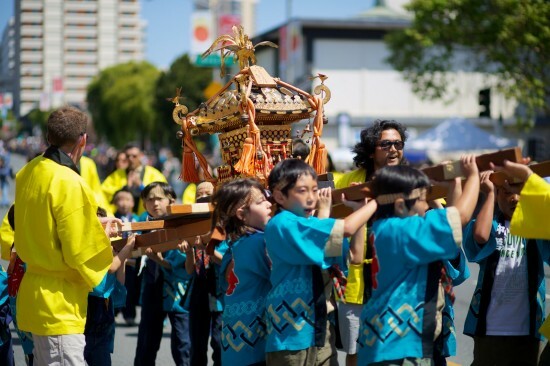 Other portable shrines in the parade included the Kodomo (Children) Mikoshi. 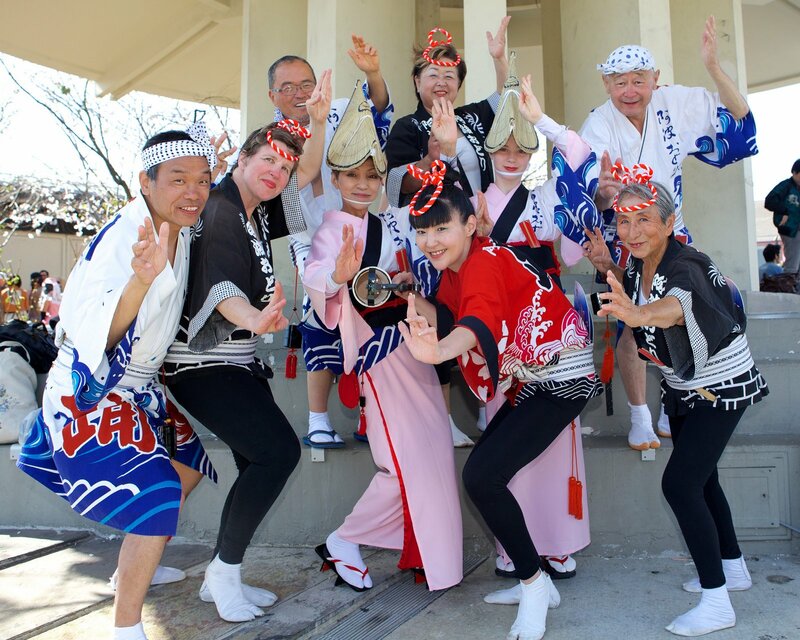 Los Angeles-based Awa Odori Tokushima Ren poses beneath the Peace Pagoda. 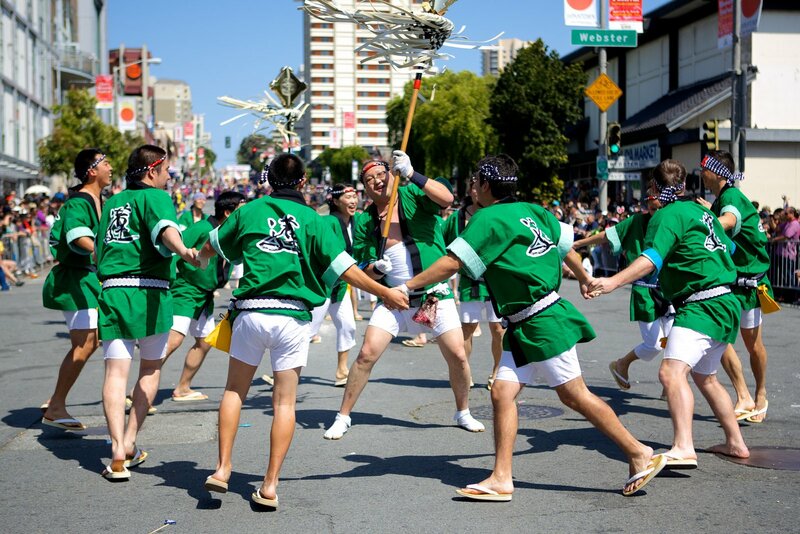 Members of Awakko-Ren, a San Francisco-based Awa Odori group. 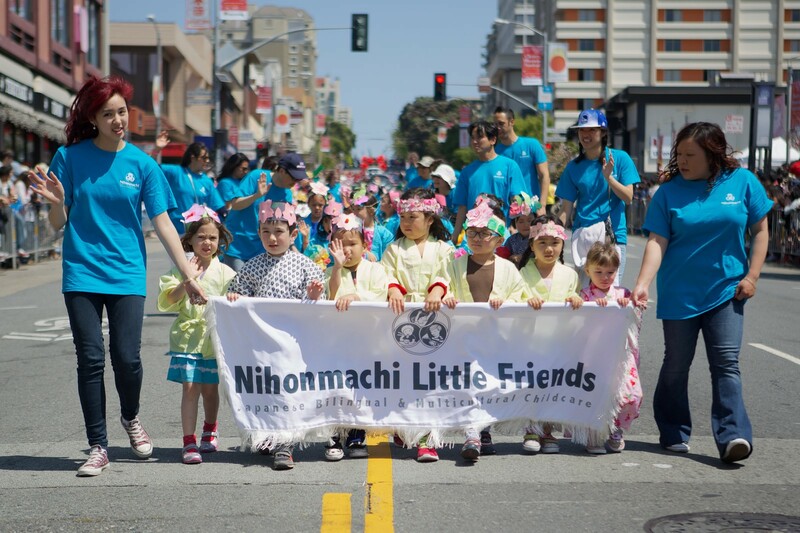 Children from Nihonmachi Little Friends, a multicultural preschool/afterschool program in Japantown. 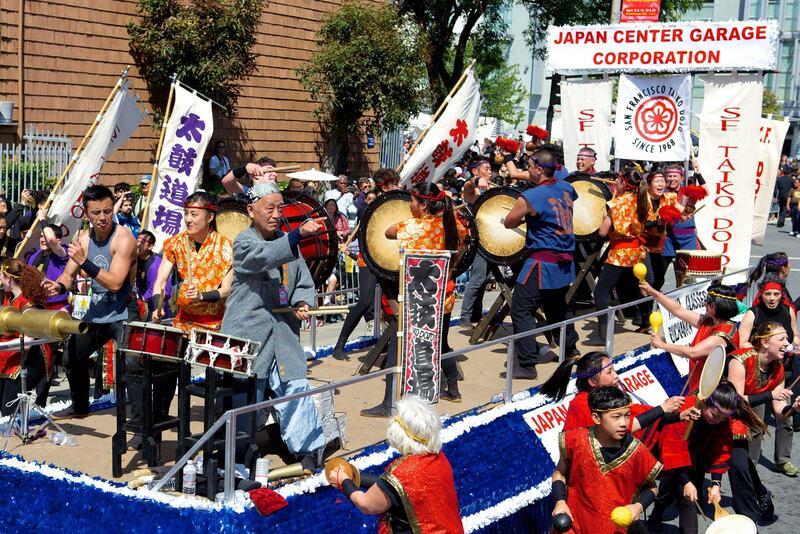 Grand master Seiichi Tanaka (front left corner of float), founder and director of San Francisco Taiko Dojo, led his group and also served as the parade’s grand marshal. Rissho Kosei Kai, a local Buddhist center, participates in the festival every year. 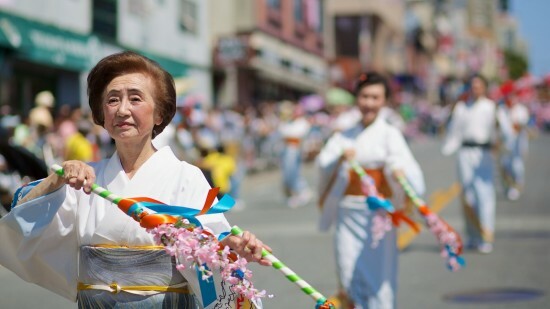 Left: Yoshiko Fujimoto of Nihon Minyo Buyo Renmei. Right: Rev. Masato Kawahatsu of Konko Church of San Francisco and Japanese American Religious Federation. 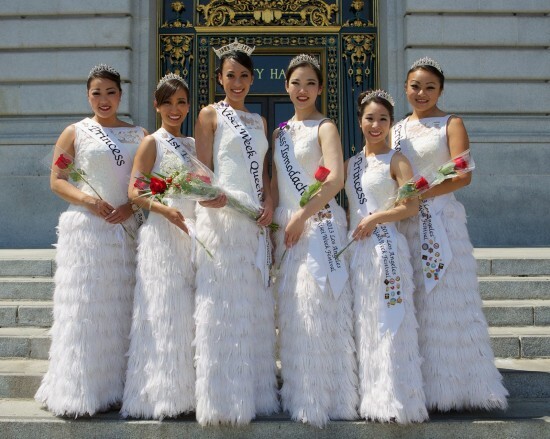 The 2013 Nisei Week Court from Los Angeles poses in front of San Francisco City Hall. 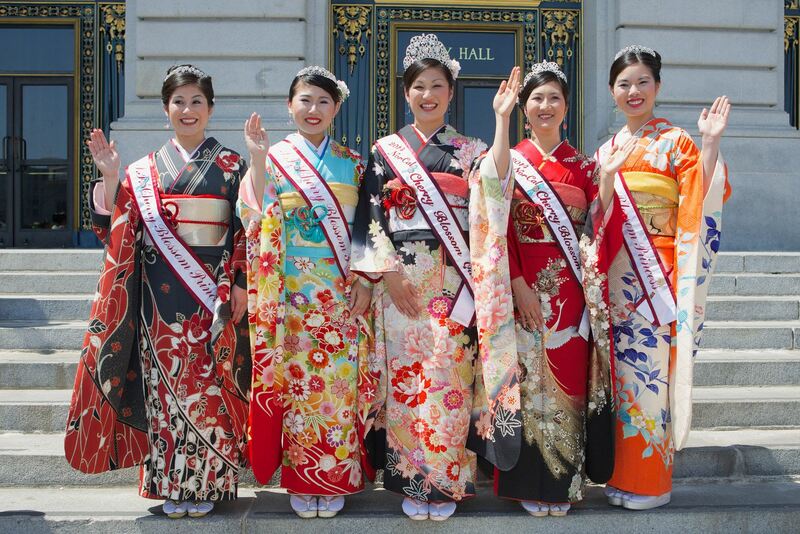 From left: Princess Jamie Teragawa, First Princess Ashley Honma, Queen Lauren Iwata, Miss Tomodachi Megumi Yuhara, Princess Laura Higashi, Princess Stephanie Fukunaga. 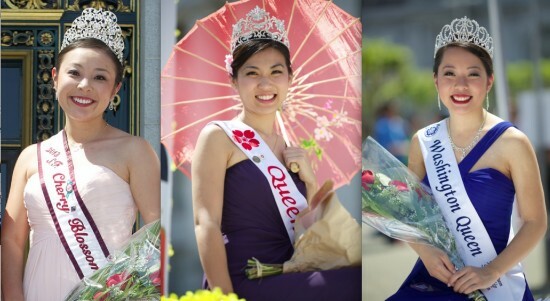 From left: 2013 Northern California Cherry Blossom Queen Kelly Walton; 2014 Hawaii Cherry Blossom Queen Sarah Kamida; 2013 Seattle Japanese Community Queen Christine Ito. 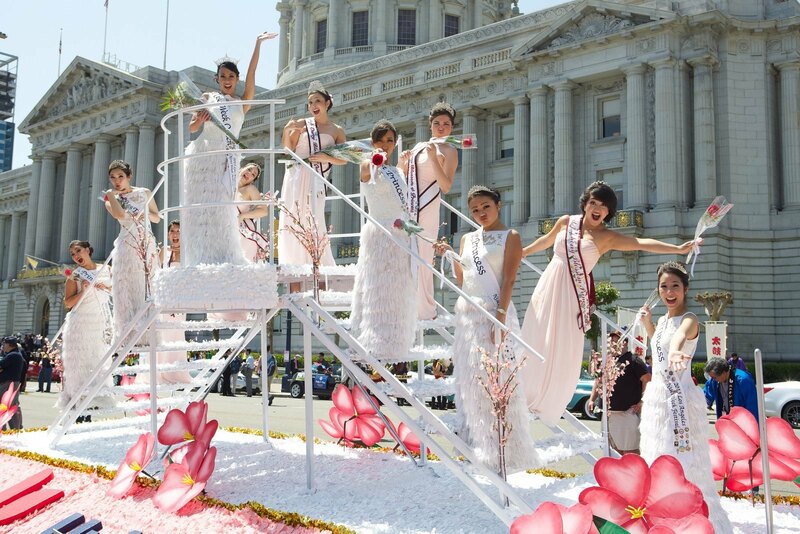 The 2013 Nisei Week Court and 2013 Northern California Cherry Blossom Court clown around on their float.